November 2017, Dublin, Ireland We are announcing the development of a new certification standard for In-Vehicle Air Filters, that is air filters used in passenger cars. Why did we develop a vehicle-based standard? 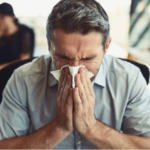 asthma & allergy friendly®® Certification Program” width=”150″ height=”150″ /> 12 EASY WAYS TO ALLERGY-PROOF YOUR CAR If you suffer from allergies, or live with someone who does, you probably spend a lot of time cleaning your home for triggers and irritants. But what about your car? 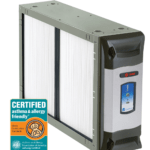 asthma & allergy friendly®® Whole Home Air Cleaners Option” width=”150″ height=”150″ /> NEW STANDARD FOR HOME AIR CLEANERS We are announcing the development of a new certification standard for Whole Home Air Cleaners, also known as In-Duct Air Cleaners.